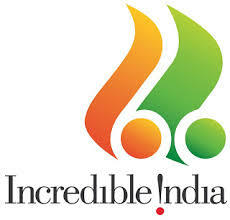 India is the land of one of the oldest civilizations and from that era it keeps on attracting tourists towards itself. India has majestic oceanic boundaries, mighty Himalayas, a vast Thar Desert and lush green north eastern part with highest rainfall. It defines “diversity”, be it language, culture, clothes, food, seasons, dance and way of life. Each region has unique physical features, soil types and climatic conditions, and so has distinct vegetation and wild life. The natural beauty is mingled with a different culture and the resultant harmony presents a unique and sparkling picture, reflecting each destination in its unique and colorful way. Geography, as such, has also given India a distinct existence. Protected from all sides by natural frontiers, India maintains a clear identity of her own. 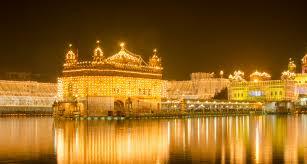 India is the birthplace of Hinduism, Buddhism, Jainism, Sikhism, and other religions. 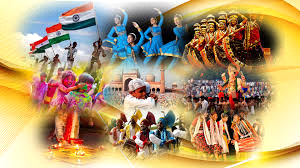 India, being a multi-cultural, multi-ethnic and multi-religious society, celebrates holidays and festivals of various religions. Many Indian states and regions have local / provincial festivals depending on prevalent religious and linguistic demographics. From salads to sauces, from spicy to sensuous, from breads to desserts, Indian cuisine is invariably complex. 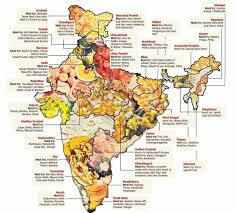 Indian cuisine varies from region to region, reflecting the local produce, cultural diversity, and varied demographics of the country. The diversity of Indian cuisine is characterized by the differing use of many spices and herbs, a wide assortment of recipes and cooking techniques. 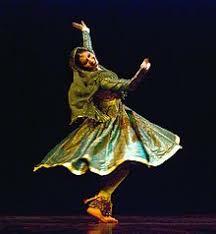 The eight classical forms accorded classical dance status are: kathak of Uttar Pradesh, bharatanatyam of the state Tamil Nadu, kathakali and mohiniattam of Kerala, kuchipudi of Andhra Pardesh, yakshagana of Karnataka, manipuri of Manipuri, Odissi of the state of Odisha and the sattriya of Assam. In addition to the formal arts of dance, Indian regions have a strong folk dance tradition. 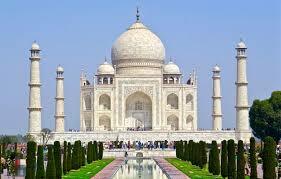 There are 36 World Heritage Sites in India which are recognized by UNESCO. Manas wildlife century(Assam), Rock shelters of Bhimbetka (Madhya Pradesh), Sun temple of Konark (Odisha), Taj Mahal (Uttar Pradesh), Hill forts (Rajasthan), Khajuraho (Madhya Pradesh), Hampi (Karnataka), Ajanta Caves (Maharashtra), Ellora Caves (Maharashtra), Bodh Gaya (Bihar), Red Fort Complex (Delhi), Sanchi (Madhya Pradesh), Chola Temples (Tamil Nadu), Kaziranga Wild Life Sanctuary (Assam), Group of Monuments at Mahabalipuram (Tamil Nadu), , Humayun’s Tomb (New Delhi), Jantar Mantar (Jaipur, Rajasthan), Agra Fort (Uttar Pradesh), Fatehpur Sikri (Uttar Pradesh), Rani Ki Vav (Patan, Gujarat), Group of Monuments at Pattadakal (Karnataka), Elephanta Caves (Maharashtra), Nalanda Mahavihara (Nalanda University) (Bihar), Chhatrapati Shivaji Terminus (formerly Victoria Terminus) (Maharashtra), Mountain Railways of India, Qutb Minar and its Monuments (New Delhi), Sundarbans National Park (West Bengal), Champaner-Pavagadh Archaeological Park (Gujarat), Great Himalayan National Park (Himachal Pradesh), Churches and Convents of Goa, Keoladeo National Park (Bharatpur, Rajasthan), Nanda Devi and Valley of Flowers National Parks (Uttarakhand), Western Ghats, Khangchendzonga National Park (Sikkim), Capitol Complex (Chandigarh) and the historic city of Ahmedabad. 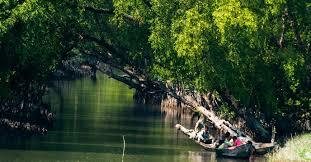 Its pristine rivers, lakes, back waters and sea beaches are major tourist attractions. Museums like National Museum (New Delhi), Shankar’s International Dolls Museum (Delhi), Prince of Wales Museum (Mumbai), Salar Jung Museum (Hyderabad), the Indian Museum (West Bengal), Nizam Museum (Chowmahalla) (Telangana), Calico Museum (Gujarat), Jawaharlal Nehru Planetarium (Karnataka), Government Museum (Chennai), Napier Museum (Kerala) and many more like these provides a window to peep into the vivid cultural evolution of the country. Ministry of tourism has created various tourism circuits like the Ramayana Circuit, Buddha circuit, Golden Triangle and many more. 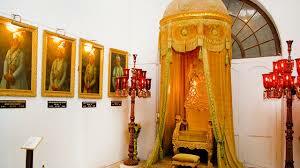 India is famous for its cultural and religious tourist places that include towns and cities. 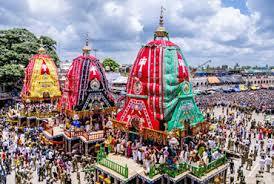 Allahabad, Ajmer, Ayodhya, Badrinath, Bodh Gaya, Dwarka, Haridwar, Kanchipuram, Kedarnath, Kochi, Madurai, Tirupati, Ujjain, Varanasi and Yamunotri are places of cultural and religious tourism. Festivals such as the Kumbha Mela, Pushkar Fair, Rath Yatra , Chandrabhaga Mela, Khajuraho Dance Festival etc are some of the main attractions. 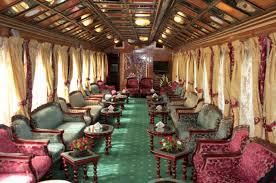 Connectivity between one place to another can also be a luxurious experience as the government provides luxury trains like - Deccan Odyssey (Maharashtra and Gujarat); Palace on wheels (Rajasthan) , Golden Chariot (southern India) and many other options. 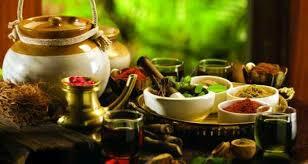 Ayurveda Therapy & Yoga is the latest flavour with visitors. Yoga packages are now being included in several tourism packages. The interest shown by foreign tourists in learning the nuances of Yoga is encouraging, as yoga’s importance and utility in the present context is now a universal fact. Yoga with Ayurveda is a special contribution of Indian culture inherited from the ancient scriptures of the land. Adventure tourism has grown in popularity and India has enormous potential for adventure tourism. River-rafting, kayaking and mountain climbing in the Himalayas, rock climbing, skiing in the snow-covered hilly areas, boat racing in Kerala and paragliding are some favourite adventure sports of tourists. Some famous sea beaches thronged by tourists in India include beaches of Mumbai, Goa, Lakshwadeep, Andaman and Nicobar Islands, Kovalam Beach in Kerala and Marina Beach in Chennai. Its geography is not the only factor which attracts tourists but its vibrant and bright culture, empathetic people, festivities and welcoming attitude makes it a dream destination. As a place which has so much to offer as ‘Tourism for All’, India proudly hosts nearly nine Million foreign tourists per year. India is a miniature world where the tourists find the best of the West and East coexisting in perfect harmony for centuries.